"Good horsemanship is good horsemanship and should not be thought of as fad or a style"
David has over 25 years of experience from starting young horses and dealing with horses with behavioural issues to teaching people the foundations of horsemanship. 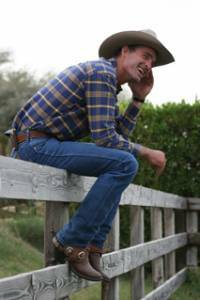 With a huge amount of experience working with horses and people all over the world, David has visited the continents of Australasia, North America, Europe, the United Kingdom and the United Arab Emirates. This has involved helping amateurs, professionals and professional organisations within the equestrian industry, enabling them to become safer and more competent around horses, giving them a foundation to build on. His relaxed manner, comfortable presence and ease in front of an audience has meant that David s expertise has been showcased throughout the world at international shows and events, including: to the Dubai Royal Family, Burghley Horse Trials ( 4 star, premier 3 day international event), Horse of the Year Show, Your Horse Live, The British Horse Society s annual spring instructor s conference and Equitana Asia Pacific. In November 2003, David was part of the team invited to The Royal Mews, Buckingham Palace to demonstrate Natural Horsemanship to Her Majesty the Queen, which would be nerve racking for most. David impressed all involved with his relaxed manner and aptitude for horsemanship. In 2007 and 2009 David gave demonstrations at Gatcombe and will be again in 2010, (a 3 day event in the United Kingdom), and at Princess Anne’ s estate.He has also given many demonstrations in past years at Burghley Horse Trials and at the U.K. event Your Horse Live in 2007 and 2008. In February 2010 David was included in a small selected group of individuals from different countries to participate in the Ray Hunt memorial in Texas in the U.S. David has also been involved in the Legacy of Legends both in Australia and the U.S. in 2014, 2016, 2017 & 2018. Over the years, David has had the opportunity to meet and train with some of the best horsemen in the world, such as Ray Hunt, Mike Bridges, Craig Johnson, Martin Black, Pat Parelli and many others.Meeting Ray Hunt while attending Emerald Rural Training College was a pivotal point in David having a career with horses, as was the meeting of Pat Parelli while on an exchange programme to America, riding and training cutting horses. Riding cutting horses and the starting of young horses was one of the best ways to gain a lot of experience in a relatively short period of time. Pat played an enormous role in the development of David s horsemanship expertise, teaching methods and presentation abilities. Through an involvement with the Parelli organisation, over a time frame of 15 years, extensive focus and training was given in the areas of horsemanship,horse training and the teaching of people. David s strengths are the beginnings and the development of a foundation on a horse. A Solid Foundation is about the preparation and building blocks for the future, it s about getting a good start in life to then go on and build a future. With horses it is about getting a horse to where they are self confident and understanding of the task at hand. Perhaps it is trailer loading or having their feet trimmed or shod, maybe it s being saddled and ridden for the first time. The better the preparation and foundation the better the outcome. Laying a foundation for performance is the best preparation for success for both horse and rider.